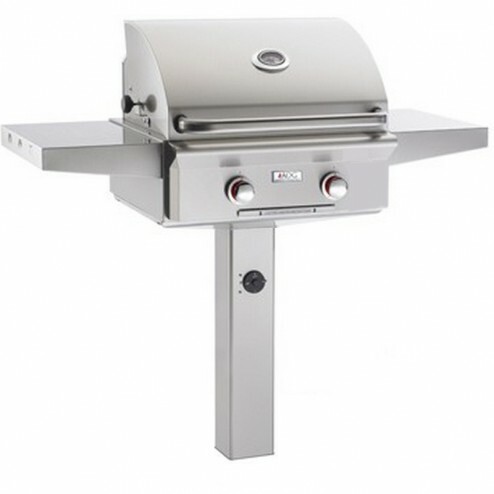 American OutDoor Grill 24NGT-00SP NG In-ground Post Grill is designed for condos, apartments, or anywhere space is at a premium. 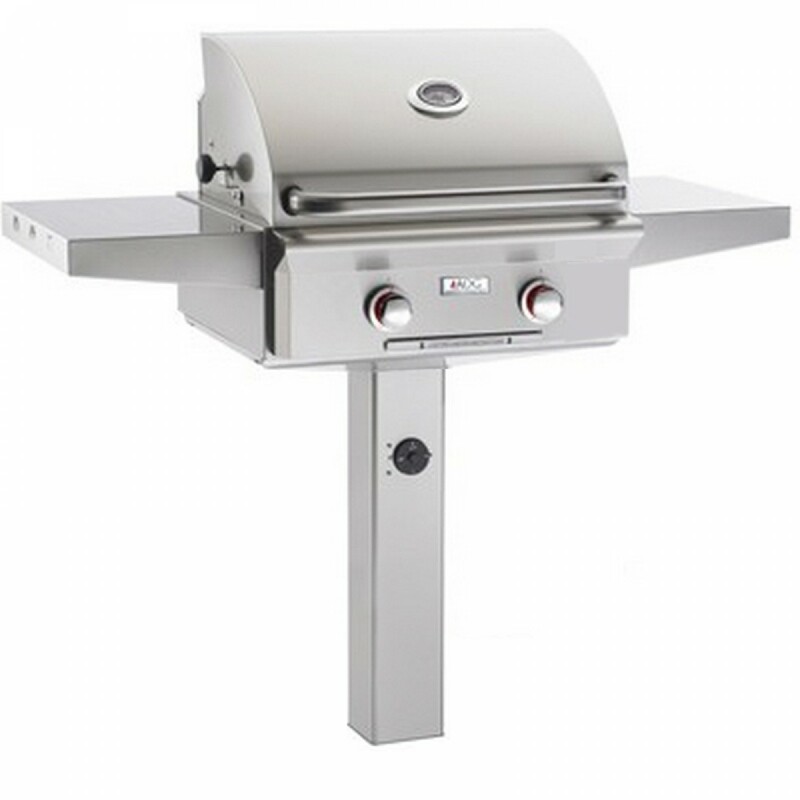 The American Outdoor Grill In- Ground and Patio Post Mount units pack a lot of grilling enjoyment into smaller spaces (432 square inches). The In-Ground Grill models must be cemented into the ground. Pedestal models may be bolted to a deck or concrete slab. Both feature a backburner, warming rack and dual side shelves (standard). The optional stainless steel tank shield is designed to conceal the unsightly propane tank while a safety chain keeps the tank securely in place. Note : All Post Models available in Natural Gas with Propane conversion kit included.